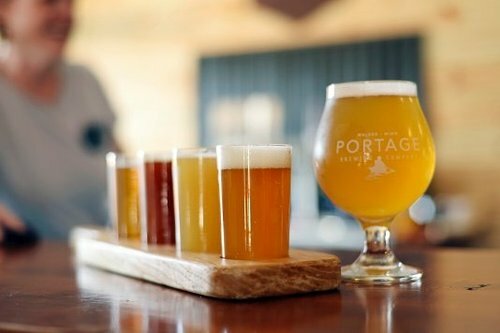 Portage Brewing Company is comprised of lake dwellers, bikers, fishermen, hikers, and home brewers who share a strong connection to the outdoors, and craft beer. Being situated within Chippewa National Forest, off the banks of Leech Lake, we are focused on providing a unique, destination taproom experience. Whether coming from a far for our events or rotation of small batch experimental beers, we'll always guarantee you something creative and complex. Our taproom is open year round, so whether you're into biking, boating, or some winter adventuring, we've got things covered on the beer end of things. There are numerous camping and resorting options available within our extended Leech Lake area - feel free to search it out or email us if you ever need guidance. Current hours for the taproom, our updated beer menu, and more are located below. Finally, be sure to stay updated with brewery happenings by subscribing to In The North. 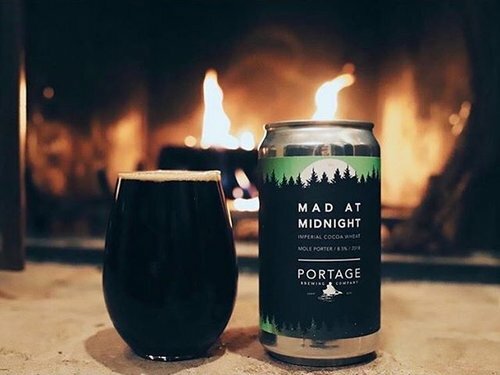 Portage Brewing Company was established in April of 2017.